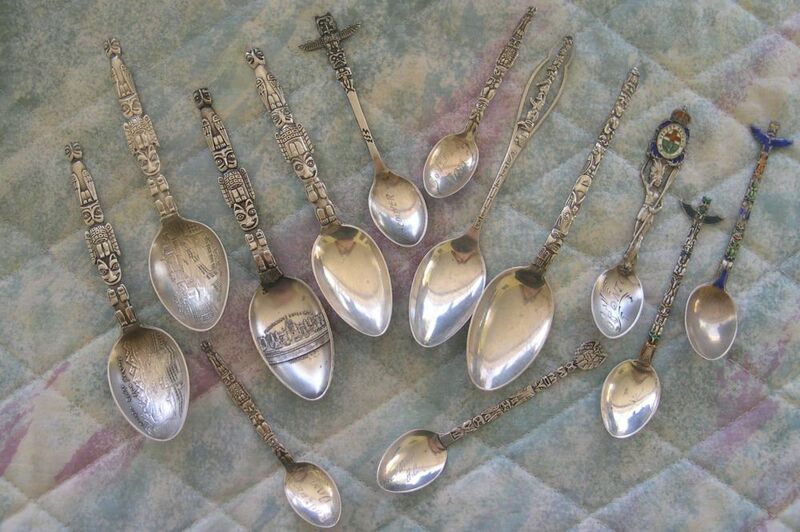 The American souvenir spoon manufacturers were quick to pick up on the types of things that the tourists wanted to see. 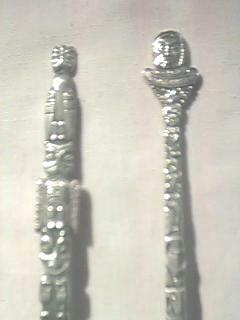 The totem poles of the North West indians were tourist favorites and we find many totem pole spoons in various styles. 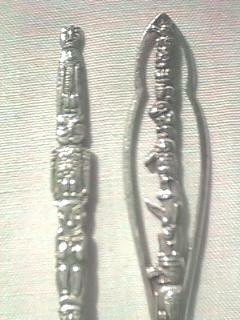 Very nice standard totem pole spoon with engraved indian profile in a gold plated bowl. The indians face has been treated to give it a natural color. 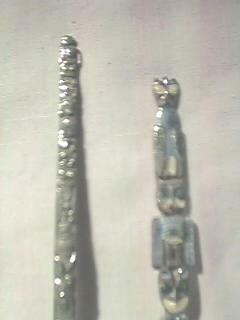 Spoons with totem poles are fairly easy to acquire, but still interesting. These spoons are of "poor" quality. The enamel work is particularly poor. An older version of Chief Skedans Mortuary Pole was raised in the Haida village of Skidegate about 1870. It honors the Raven Chief of Skedans and depicts the chief's hereditary crests.